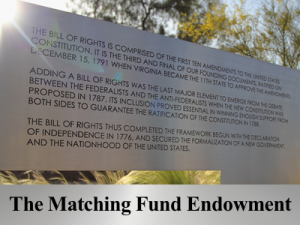 MyBillofRights.org is proud to announce our new Matching Fund Endowment, designed to seed projects at State Capitols across America. 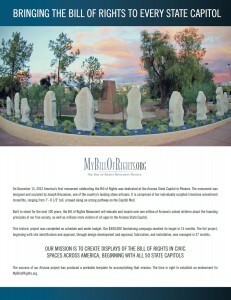 To contribute, click on the Matching Fund graphic below. Watch the mission video, and get full details on how the matching fund will work from the downloadable PDF.